If you need plumbing repair services in Clarksburg, Master Plumbing has you covered. How are your pipes looking lately? If your Clarksburg home has recently experienced some fall storm damage, your plumbing could be in jeopardy. However, if you need plumbing repair services in Clarksburg, Master Plumbing has you covered. Please keep reading to discover the benefits of professional plumbing repairs, and the signs that you may have a pressing problem. 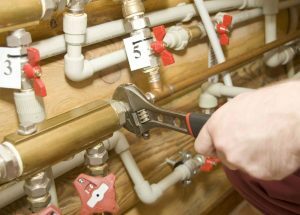 Affordability: Plumbing repairs aren’t always the cheapest of ventures. Luckily, when you come to Master Plumbing for your plumbing repairs in Clarksburg, we can give you the best price and save you plenty of money. Use Less Water: When your Clarksburg home is experiencing a leaky pipe, your utility bills will start to increase. When you schedule professional plumbing repair services, one of the biggest perks is that the repairs will enable you to start using less water. Water efficiency is just as important for the environment as energy efficiency is. Constant Puddles: If you see too many puddles in your Clarksburg home, chances are they are forming due to water leaks. Water leaks might originate in your kitchen or bathroom, but they could just as easily be coming from a loose window or leaky roof. Strange Noises: Do you hear odd sounds coming from your home’s plumbing? If you do, it could be another warning sign that something is wrong with your Clarksburg water supply.